If two words could sum up the lighting application on this home in Westhaven they would have to be entrancing and ethereal. 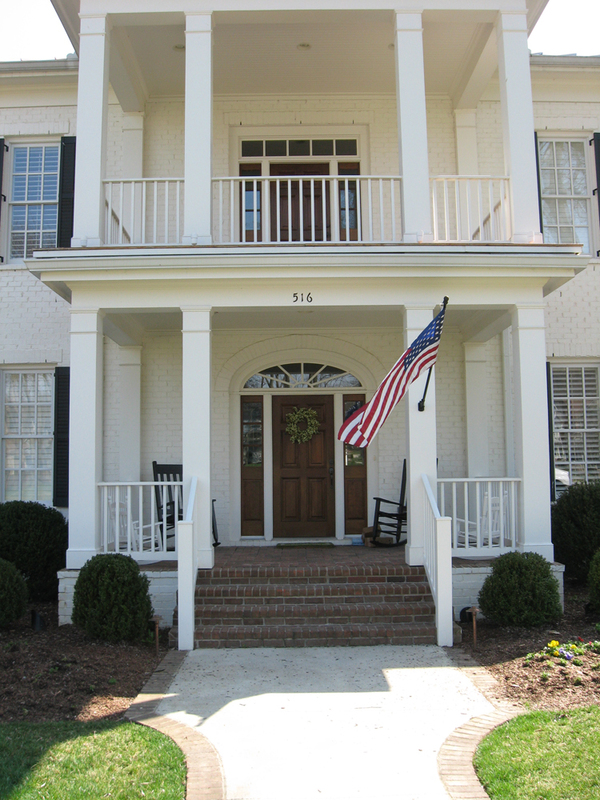 This home is situated on a corner lot and is close to the neighborhood clubhouse. Several angles to illuminate and a complicated roofline made this home a design challenge. 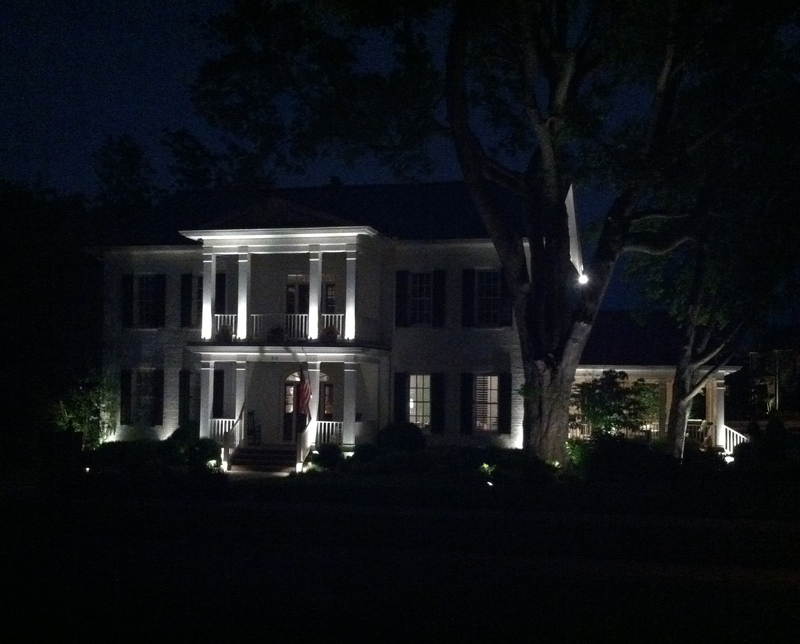 Outdoor Lighting Perspectives of Nashville took the challenge in stride and the end project of this home at night is truly breathtaking. We accentuated the width and the height of the home by using well lights placed strategically so they cast a side glow and singled out certain architectural features of the home. Well lights are one of the best lights to use when focusing on architecture. 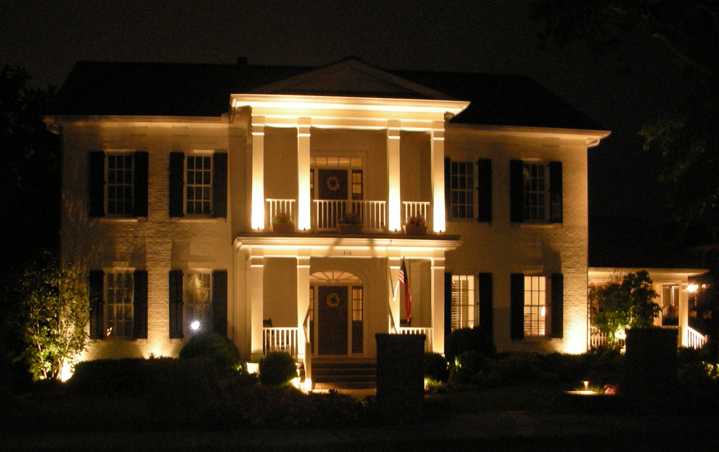 Outdoor Lighting Perspectives of Nashville uses these type of lights in many of its designs, and precision placement ensures the homeowner is not met by the light intruding in through a window. We also strive to focus on the effect that a light produces, rather than the light itself. This is why discreet placement of fixtures is key. By attaching lights to the trees on the side of this home. 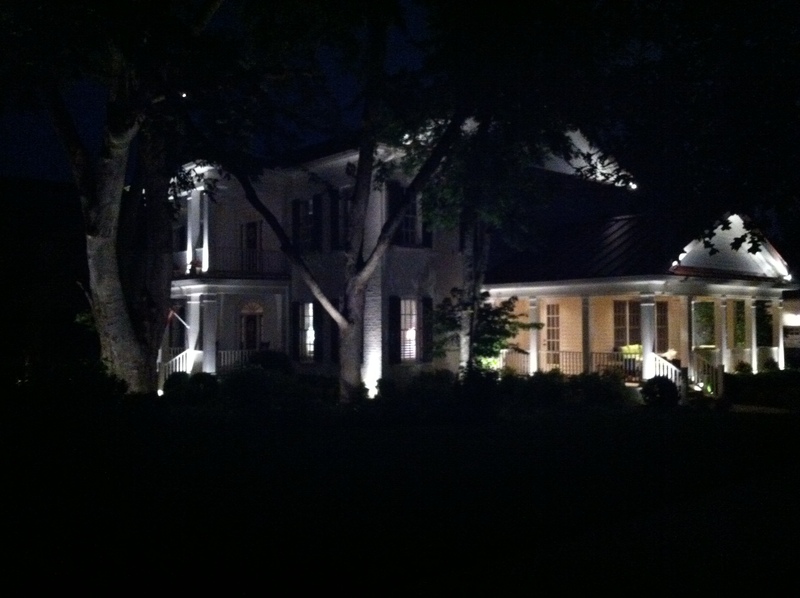 We used up lighting as well as down lighting to illuminate not only the trees but the homes facade as well. Lighting in the trees also served to cast moon lighting, also known as shadow lighting onto the walkway below. 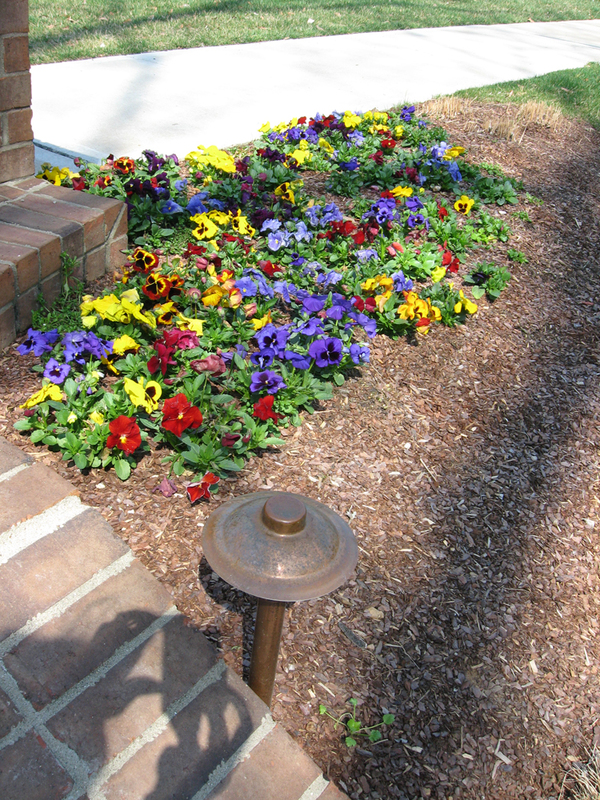 This application adds safety, beauty, depth and dimension to this area. Not a single stone was left unturned when it came to beautifully illuminating this home. We even added soffit lights in the covered patio. These soffit lights are tied into the LCA (lighting control automation) of the homes lighting system to add worry free, no hassle operation to the list of positives this home has. The whole effect the lighting gives is one which you don’t want to turn away from. Even during the day the lighting still entrances you, notice the beautiful aged patina of the copper path lights. This entry was posted in Architectural Breaks, Architectural outdoor lighting, Landscape Lighting, Lighting Control Automation, Lighting Design Concepts, Outdoor Lighting, Outdoor lighting design, Outdoor Lighting Installation, Outdoor Lights Nashville, Residential outdoor lighting, Security Lighting and tagged architectural lighting, Automation, Landscape Lighting, lighting, Lighting Automation, Lighting Control Automation, lighting design, moonlighting, Moonlighting in Westhaven, Outdoor Lighting, Outdoor Lighting in Westhaven, outdoor lighting Nashville, outdoor lighting perspectives, Westhaven outdoor lighting, Wireless Lighting Control by outdoorlightingnashville. Bookmark the permalink.